As part of this years all year round D&AD activity the D&AD’s Next Awards has returned aiming to celebrate work created by some of the world’s best rising directors and photographers, bridging the gap between D&AD’s New Blood and Professionals Awards campaigns. The Mill is once again very proud to be supporting the D&AD Next Awards, alongside other fantastic partners such as gettyImages, NOWNESS, G.F Smith, MOFILM, The Photography Show, and The Smalls. 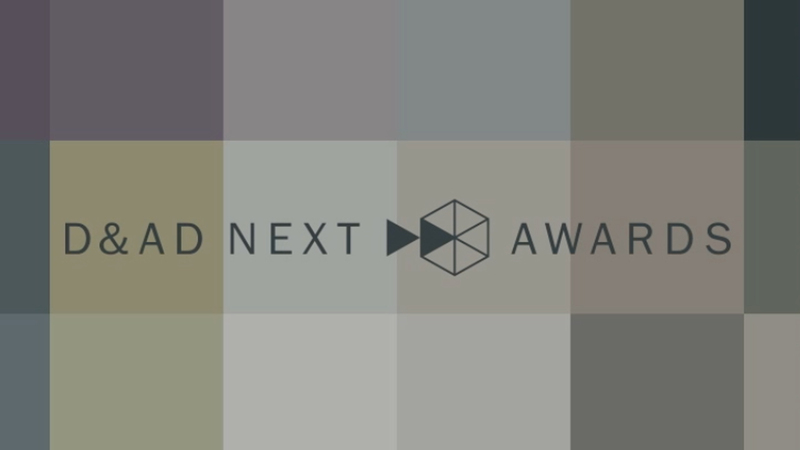 The call for entry, across both Director and Photography categories has now gone live, encouraging new creatives to enter this years awards with the 2017 tag line ‘Want to be Next? Every pixel counts.' The 2017 campaign aims to highlight that even the simplest photograph or shortest film plays an integral role in the success of the industry, and that it takes more than mere luck to make great work. The D&AD Next Director Award is open to filmmakers with less than two years’ industry experience. Last year’s winner Daisy Jacobs, created stop motion animation piece ‘The Bigger Picture’ using life-sized characters and full sets, which won several awards at international film festivals, before picking up the Next Director Award at last year's Screening and Ceremony, hosted by the Mill. The 2017 judging panel includes Biscuit’sOrlando Wood, Academy Films’Frederic Planchon, Furlined’sHenry Hobson, NOWNESS’Anna Higgs, Riff Raff’sMatthew Fone, and this year’s Jury President AMVBBDO’sFrancine Linsey. D&AD’s Next Director Award deadline for entry is the 22nd February 2017. For further key dates, click here. The Mill’s London studio look forward to once again hosting the D&AD Next Director Screening and Awards show following on from a successful 2016 event. Keep up-to-date with the D&AD Next Awards, follow D&AD on Twitter, Facebook, and Instagram.